The pride of Puerto Rico Miguel Cotto (37-4 30 KOâ€™s) returns to the ringÂ in October as he squares off against Delvin Rodriguez (28-6 KOâ€™s) at the Amway Center in Orlando, Florida. 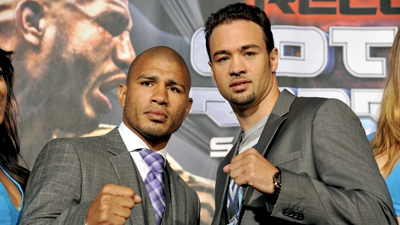 It’s an important fight for both men, particularly for Cotto. If he wants to make another run towards the top of the division he needs a good win here. 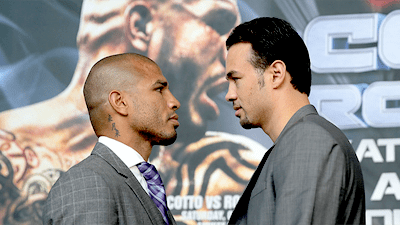 Cotto has lost two in a row to Floyd Mayweather and Austin Trout, while Rodriguez has won two straight on Friday Night Fights since losing to Trout himself in June 2012. CottoÂ has been inÂ Los Angeles working out at the Wild Card Gym with renownÂ trainer Freddie Roach,Â he will not split time between Cotto and Manny Pacquiao, he will be in camp with Cotto through the fight. Below, check out the official Cotto vs. Rodriguez video preview and promo spot from Top Rank to see what may be in store on fight night.